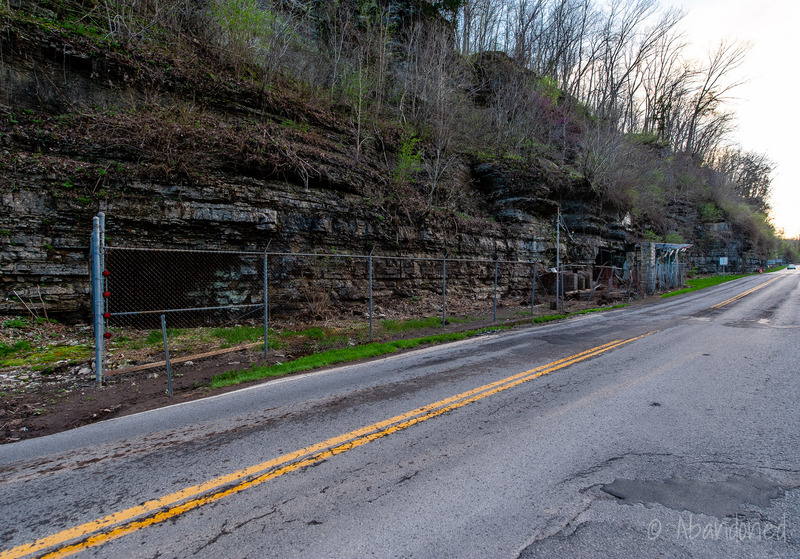 The mine was part of the Central Kentucky Mineral District consists of more than 200 vertically dipping vein deposits, including barite, calcite, fluorite, galena, and sphalerite. 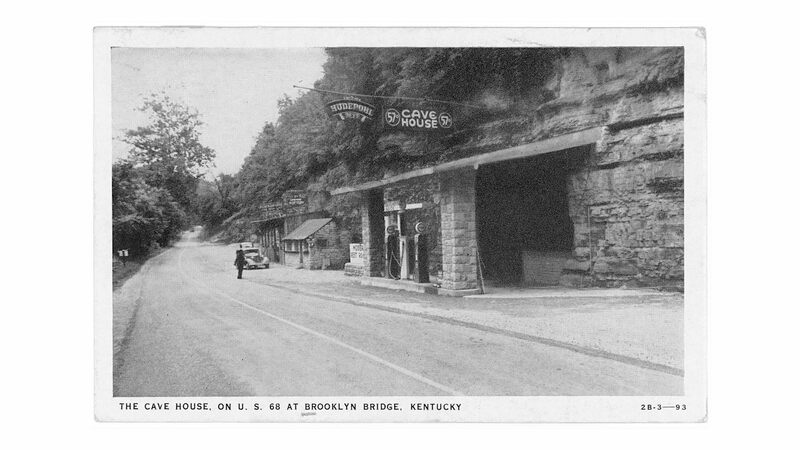 3 Mining along the Kentucky River began circa 1900, with significant mines operating at Mundys Landing, Gratz and elsewhere. 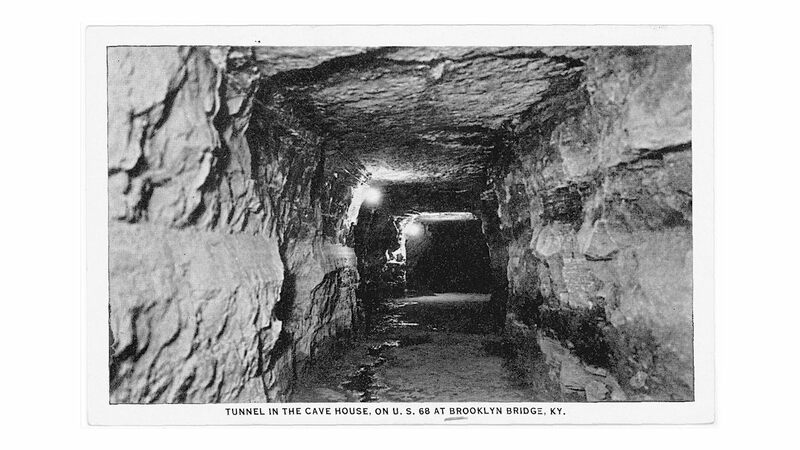 Chinn’s Cave when it was part of a tourist attraction. 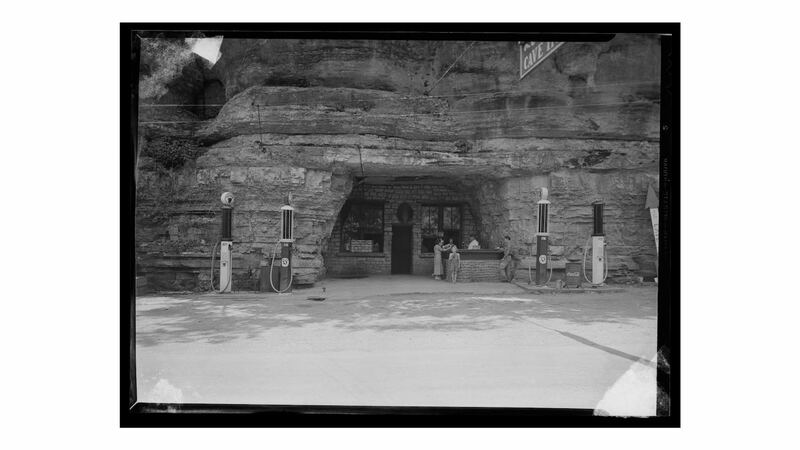 After the Chinn Mine was abandoned, it became home to Chinn’s Cave House, a tourist attraction, restaurant, and gasoline station along US 68. 4 It was operated by Col. George M. Chinn, a graduate of the Millersburg Military Institute and Centre College. Chinn became a Colonel in the United States Marine Corps and a co-inventor of the Mark 19 40mm automatic grenade launcher. Photographed by Lafayette Studios in 1935. McFarlan, Arthur C. “Vein Materials.” Geology of Kentucky, Lexington, University of Kentucky, 1943. “24K Geologic Formations.” Kentucky Geologic Map Information Service, University of Kentucky Geological Survey, map. “Central Kentucky Mineral District.” University of Kentucky Geological Survey, 1 Nov. 2017. Article. Byron, T.L. 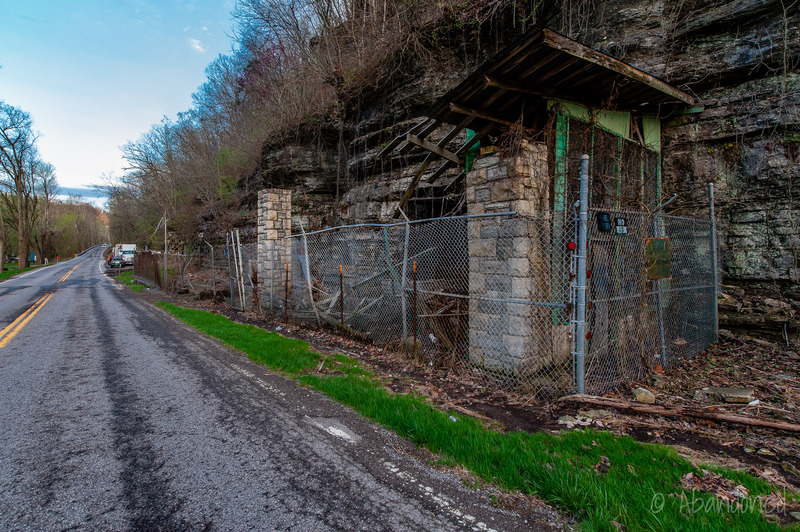 “Chinn’s Cave.” The Kentucky Files, 4 Oct. 2015. Article. Miller, A.M. The Geology of Kentucky. Department of Geology and Forestry, Frankfort, 1919. p. 326. Zodac, P. “World News on Mineral Occurrences.” Rocks and Minerals: 24(3), 1949. p. 255. “Chinn Mine.” Mindat.org, Hudson Institute of Mineralogy, 9 Oct. 2017. Article. This isn’t the Chinn Mine. The mine itself is located at Mundy’s Landing, a short distance from a second underground mine. 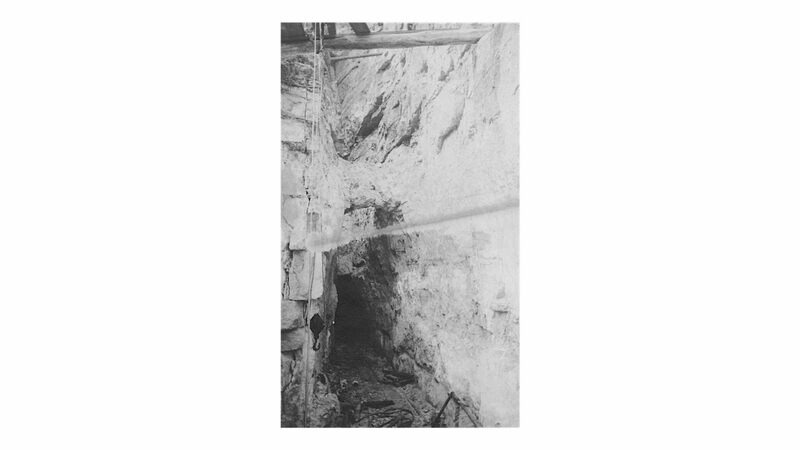 Due to the vertical nature of the veins in this area, the mines have large stopes from which ore was extracted – easily thirty feet vertical in places. 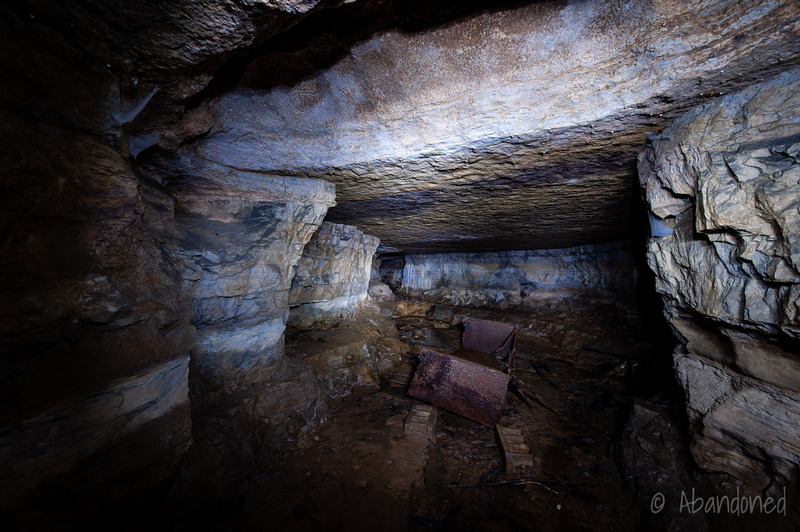 I have photos taken underground in the mines. 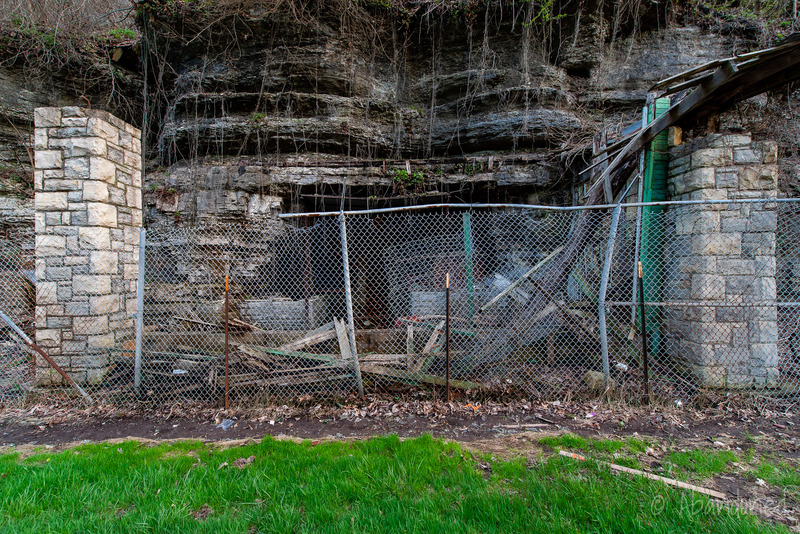 The Cave House was never a mine.